for $299,900 with 2 bedrooms and 2 full baths, 1 half bath. This 2,400 square foot home was built in 1991 on a lot size of 1150 X 1635. 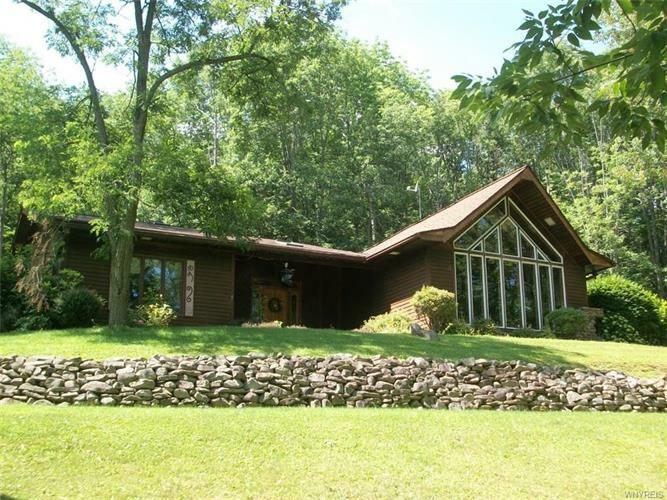 Custom Built Contemporary Home situated on 55 acres with pond has so much to offer. 2 bedrooms 2 1/2 baths . Large open 20'X30' living dining room with catherdal ceiling featuring a window wall and interior terarium with fountain. Eat in kitchen has free standing propane stove., a seperate sewing or craft room. Hot water baseboard heat has 6 zones. Loft , balcony can be used for extra sleeping or quite study area. Black top driveway and 2 car gagrage . Enjoy birds and wildlife from the comforts of this home.